In the last year and a half the idea of putting on a card with boxing and mixed martial arts has gotten mixed messages from promoters and journalists. It has had success with most notably Roy Jones Jr co promotion of March Badness earlier this year. For the first time in Atlantic Canada the idea will be tested on September 12th in Moncton, New Brunswick. The fights will be on the next great heavyweight boxing tournament. The idea additionally came after a historic event in mixed martial arts. "I wasn't really a big UFC fan, but i can fell for it immediately after seeing Georges St-Pierre and saw one of the most extraordinary athletics in the world. I watched UFC 101 after that and realized there was more to it and I thought nobody that I knew is doing a hybrid event of MMA and boxing. The concept is a little ground breaking in Eastern Canada." Storey was a former boxer who has now become a promoter this year with his wife to start the next great heavyweight boxing tournament back in June. The 2nd round of this event will take place as well as a cursierweight tournament beginning on the same night. The idea for mma on the card is to do the same tournament style setting for different weight classes. The idea is to try and give newer athletics a chance to get there career started. "We are working with some of the regional fighters and promoters to put an mma component to the show as well," says Storey. 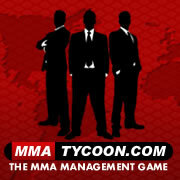 "We set up a website the recruit fighters that we called eastcoastmma.ca. We have received a lot of applications and calls. There are a good supply of fighters around that are willing to be part of it. Right now we are just trying to pull something together that makes sense and works."